The ins and outs of payroll tax law vary widely by state, so filing and paying payroll taxes in a timely manner can be a challenge. The following payroll tax overview should help give companies a better sense of the specific requirements in Colorado, assist them in filing taxes accurately, and help payroll tax managers working in the Rockies make their tax filing process less rocky. Employers must register for a withholding account with the Colorado Department of Revenue. State law requires withholding of income tax from salaries and wages of all residents and for some non-residents. This process typically takes anywhere from four to six weeks if the form is mailed, but by registering online at Colorado Business Express, applicants will receive their account information almost immediately. NOTE: MasterTax does not support or provide instruction or documents needed to complete the initial registration process of any jurisdiction. All registration forms and instructions will need to be obtained through appropriate websites. Once registered, there are four methods of tax payment methods available, including EFT (ACH debit or ACH credit), check or money order. MasterTax provides registration guidance and forms for both the ACH Credit and Debit payment methods. Clients will be able to enter the necessary information into the system which can then be printed. Electronic payments (EFT) are required if an employer pays more than $50,000 in withholding tax from July through June of the previous year. 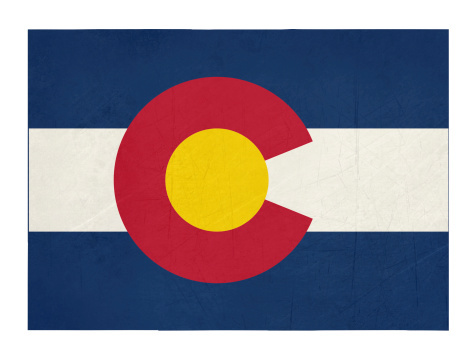 Colorado encourages employers to file and pay electronically through Colorado’s Revenue Online Account System, even if an employer does not meet the $50,000 threshold, because it reduces potential processing errors. There are three assigned deposit schedules for withholding taxes: semiweekly, monthly and quarterly. Each schedule has a different due date based on an annual review of the amount of Colorado withholding tax that the employer reported during the prior 12-month period of July 1 through June 30, so employers should be sure to pay at the correct time. For withholding tax returns and payments that are not filed or paid late, the penalty and interest structure is the greater of $5 or 5 percent of tax due for the first month or fraction thereof, plus 0.5 percent each additional month or fraction thereof (not to exceed 12 percent). Delinquency and failure to file notices are typically issued by the agency 30 days from the due date. Levy notices are typically issued within 90 days from the date of the failure to file notice. Employers can generally protest a notice in writing within 30 calendar days of the notice date. Credits and refund requests are available. If the overpayment you are claiming is larger than the tax due for a period, employers may spread the credit over several filing periods. The Colorado Department of Labor and Employment considers an employer liable to pay unemployment tax when they have paid wages of $1,500 or more in a quarter or if they have employed at least one employee for part of a day in 20 different weeks during the calendar year. To file unemployment taxes, each employer must obtain an Employer Account Number (EAN) by submitting an application to the Colorado Department of Labor and Employment,  a process that typically takes four to six weeks if the application is mailed. However, employers also can apply online and receive an EAN almost immediately. Unemployment taxes are due on the last day of the month following each quarter. Electronic filing is required for employers filing for 100 or more employees. Employers can submit the three required forms and pay by check or by online payment using My UI Employer. This online hub offers many other services to employers such as providing rate and payment information, access to division forms, wage data submission, and report filing. MasterTax supports e-File, paper and magnetic media tax filing. For any SUI return, the wage listings will be either included in the electronic return or printed with a paper return. All of the registration instructions for moving from paper to e-File returns are within the MasterTax software. MasterTax includes a compliance engine which will help you verify that you are submitting your return in the correct format in order to help reduce the likelihood that it will be rejected by the agency. Delinquency notices are mailed monthly and missing report notices are mailed quarterly. Employers can protest a notice in writing within 20 calendar days of the notice date. If an employer has a credit on file with the agency, the employer may reduce the amount of tax due by the credit amount. At quarter close, within the MasterTax system, those credits can be applied to an upcoming payment. Inactive employers may request a direct refund. The information provided in this blog post is for informational purposes only and not for the purpose of providing accounting, legal, or tax advice. The information and services MasterTax provides should not be deemed a substitute for the advice of any such professional. Such information is by nature subject to revision and may not be the most current information available.